There are so many traditional and classical foods in the British Christmas, Boxing Day and New Year's repertoire, it can be hard to choose what to cook. But sometimes it is good to ring the changes. So why not take a chance and take a break from those classical Christmas foods this season? Instead, try one of these nine delectable, non-traditional British recipes that will have your family and guests talking about for years to come. The crowning glory of many-a British dinner table is this beauty: the Traditional Beef Wellington. This is not a usual Christmas dish, as it has too much other rich food to compete with during the Christmas feast, however it will fit the bill perfectly. 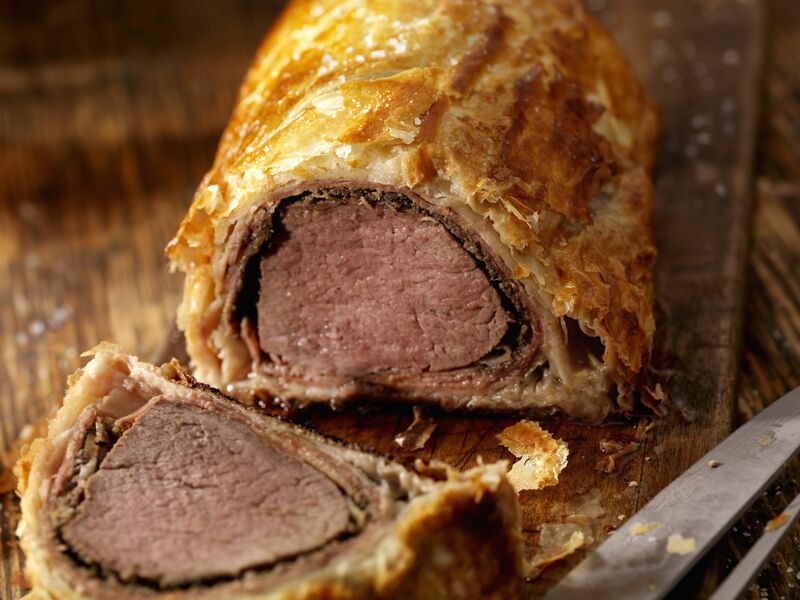 The Wellington is a great dish to make the day before, chill down in the fridge, then pop it into a very hot oven, which will not only help to ensure your pastry will be nice and crisp, but that the beef will be perfectly pink. All that is needed alongside are fresh vegetables, or a hearty salad if you want to keep things simple. With great British game in season right through to January, what better time to serve it than around the holidays, specifically Christmas. The beauty of this pie is it keeps for several days if stored in an airtight box (or larder if you are lucky enough to have one). Being able to store this dish for several days makes it the perfect dish for whipping out when unexpected guests turn up. We recommend serving this Game pie with seasonal pickled onions, piccalilli and chutney on the side. Once ready, just sit down and enjoy your hearty, filling supper dish! British food is awash with pies and pasties, and there are literally hundreds to choose from. The beauty of the pasty is that it's versatile. Having it as either part of a meal, or taking it as a snack on one of those long Christmas walks, or drives. Just wrap it in foil and away you go! 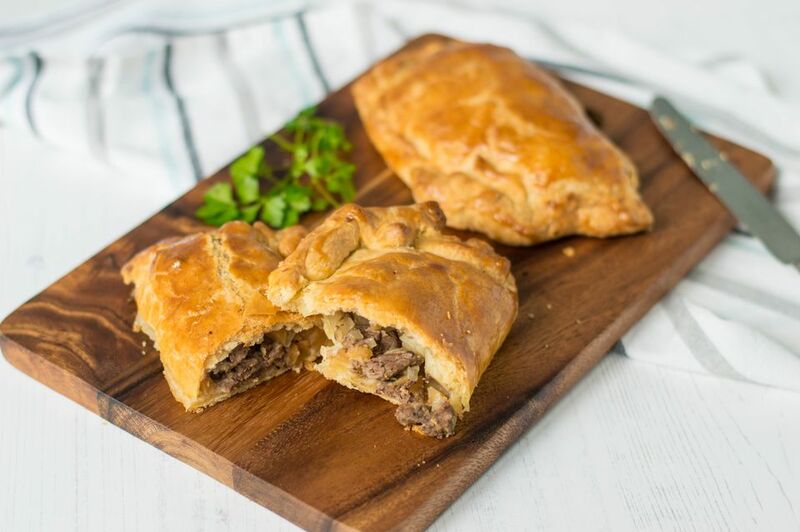 The perfect food on-the-go is the massively popular Cornish pasty, which is a meal in itself filled with beef and vegetables. A no-cook ploughman's is so, so British and also tasty, filling and quick to put together. Provided you have the ingredients in the fridge, you will have this beauty on the table (or a tray to nibble on while watching those Christmas movies) in no time. There is no definitive recipe for this platter, just fill it with all the goodies you can, making sure there are cheeses, pickles, pie if you have some, leftover ham, crusty bread and butter. This hearty, filling and flavorsome Irish stew oozes deliciousness and is great for those days between Christmas and New Year when you want to relax. Make this stew as far in advance as you wish and pop it in the freezer. It can be reheated gently in a medium-hot oven, until it is thawed and heated right through, while you relax with your feet up (hopefully). Serve the stew with fluffy mashed potatoes and you have a stunning, yet simple meal. If you feel like your body needs a break from richness, spices and powerfully flavored foods this Christmas, then reach for this light and healthy halloumi salad. This is about as far away from a traditional Christmas dish as you can get, but a light and nourishing salad such as this will do the trick! Don't worry, after this dish you will soon be ready for the next indulgent meal. For the non-meat eater, a must-try is a spiced pumpkin filled pasty. While pumpkin may not be in season during Christmas time, there are other squashes that you can use to make this dish just as delectable! This wonderful bite-size pasty is so incredibly easy to make. The best part is, it can be frozen before cooking, making it a quick reheat when needed super simple! If you happen to go decide to make the traditional Turkey for Christmas, but are looking for ideas to use up those leftovers, we've got the perfect solution: Asian-spiced salad! Turkey leftovers are something of a cliche when it comes to Christmas, so we opt to steer away from the usual fare of curry and sandwiches, and try this light, yet hugely powerful salad. This unusual recipe packs quite a punch, containing so many good greens, nuts, pomegranate and cranberries. The salad contains a whole host of nutrients and is very useful for combating any overindulgence from the festivities. These simple, classical, British hob nob biscuits are another perfect antidote to the stress and pressures of constant cooking and entertaining over the festivities. While they are a not traditional to Christmas, they make our list as they are fairly easy to make. Just bake a few trays and store them in an airtight tin, and when that moment comes after the Christmas meal where you just fancy five minutes with your feet up and a hot drink, you will have the answer!